1915-2015 Panama Pacific International Exposition centennial medal, copper. 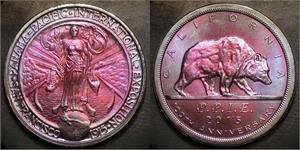 The obverse is based on a vintage pocket watch case design. 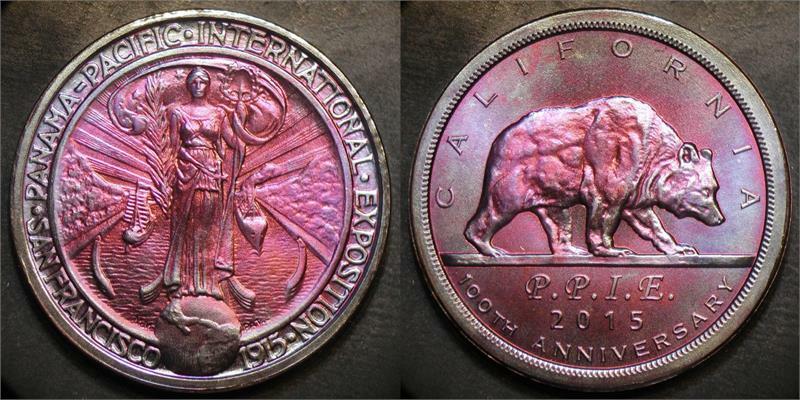 The reverse Bear is from the 1925 California commemorative half dollar. Each medal is housed in a non-PVC flip holder with small certificate.